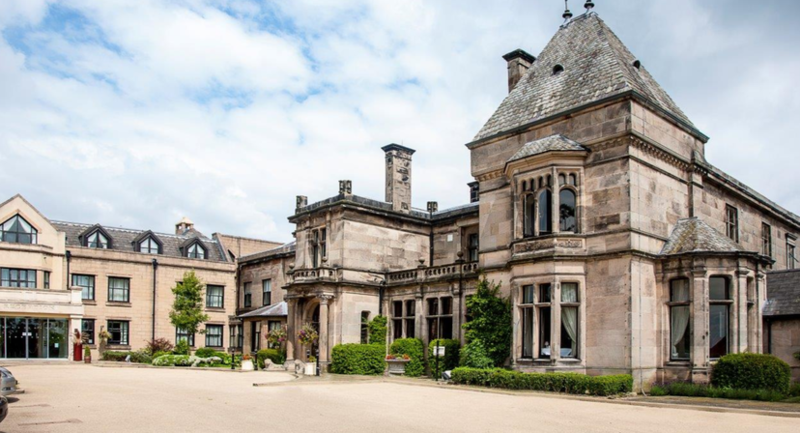 Rookery Hall is located amid breath-taking picturesque Cheshire countryside and within easy reach of Crewe, Stoke-on-Trent, Manchester, Liverpool and Chester. 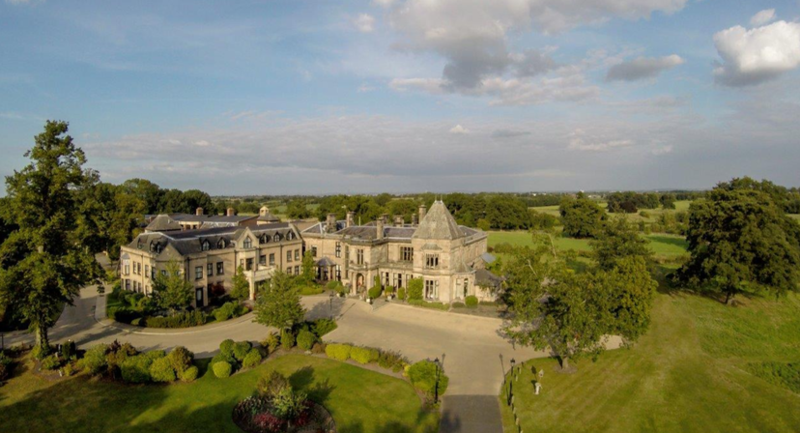 With its mix of traditional, elegant function space in the main house along with an onsite self-contained dedicated conference centre and spa, Rookery Hall is a popular venue for product launches, large conferences and team building events in its extensive grounds. 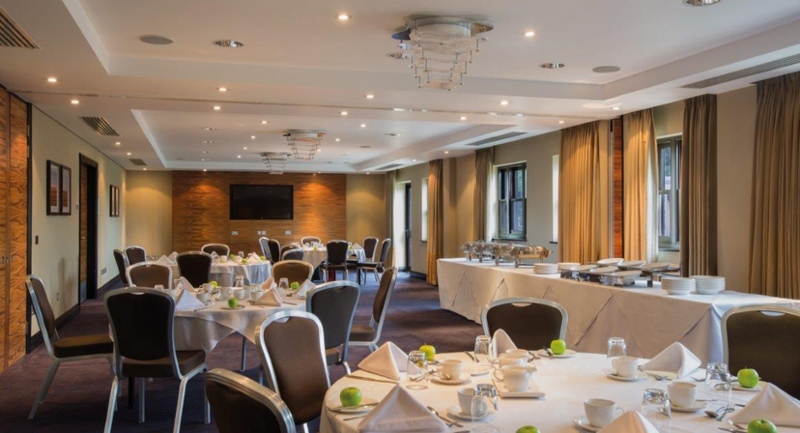 The Worleston Suite can be split into two rooms by utilising a retractable and soundproofed dividing wall, creating Calverley and Wardle. 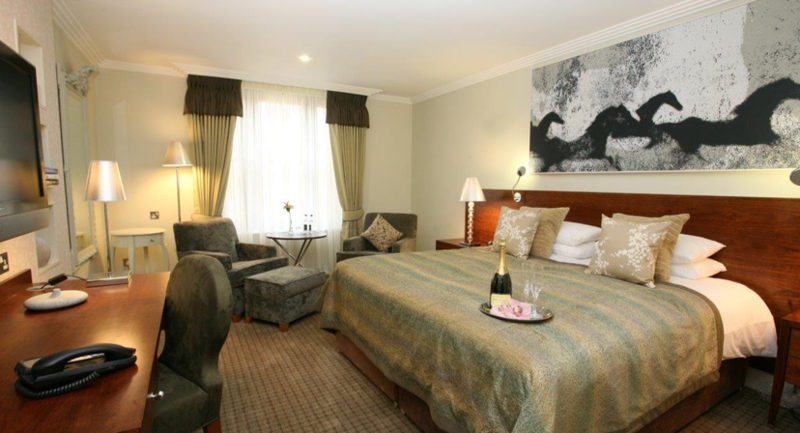 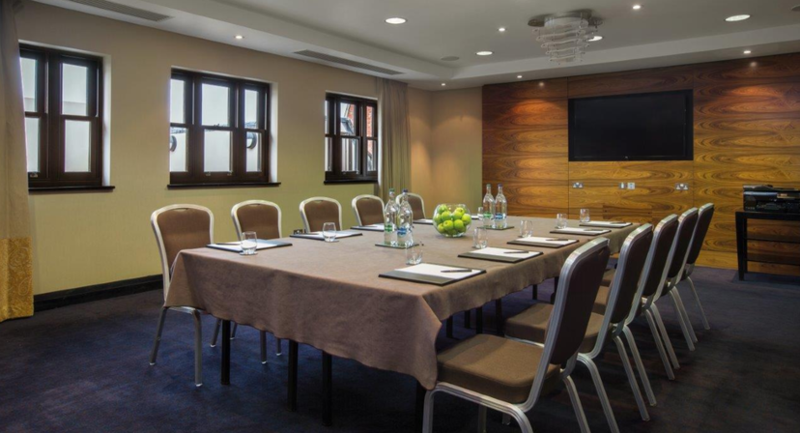 Situated on the first floor of the function suite, this modern room is a spacious suite featuring a dark wood design with an LCD TV screen at each end (these can be covered as required). 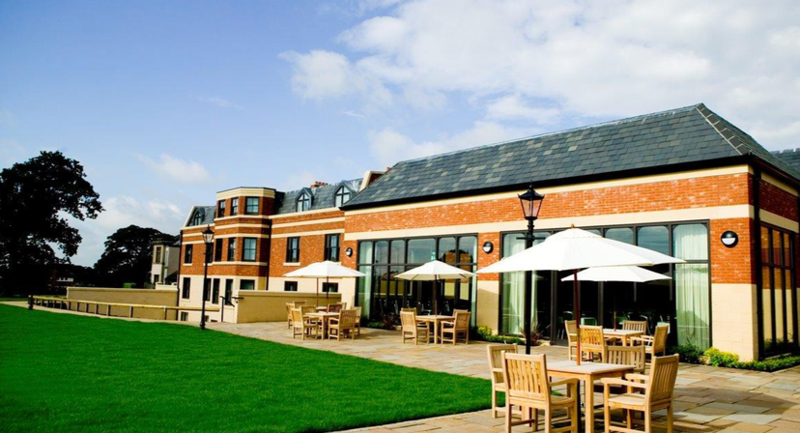 It leads onto an outdoor stone terrace area with views over the grounds. 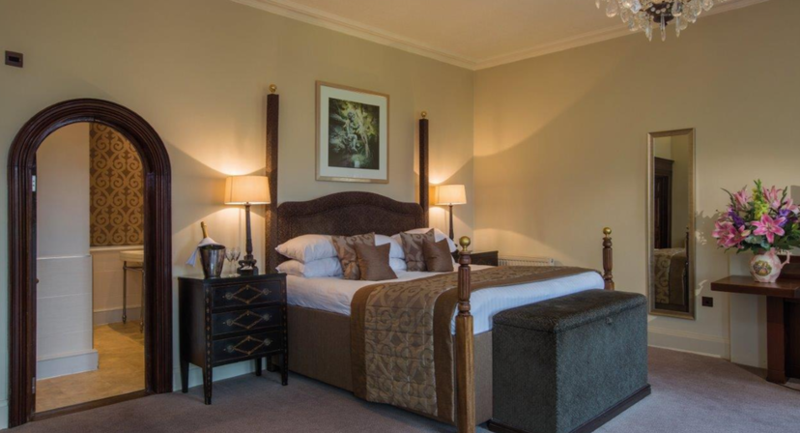 These rooms are created when Wybunbury is divided into two and therefore share similar amenities with the exception that Tarporley has no access directly to the terrace. 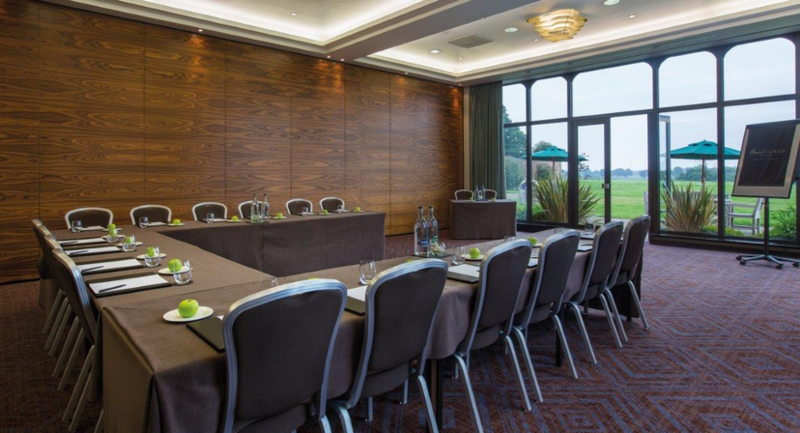 Again on the first floor this is a boardroom, seating up to 18 people for business or private dining. 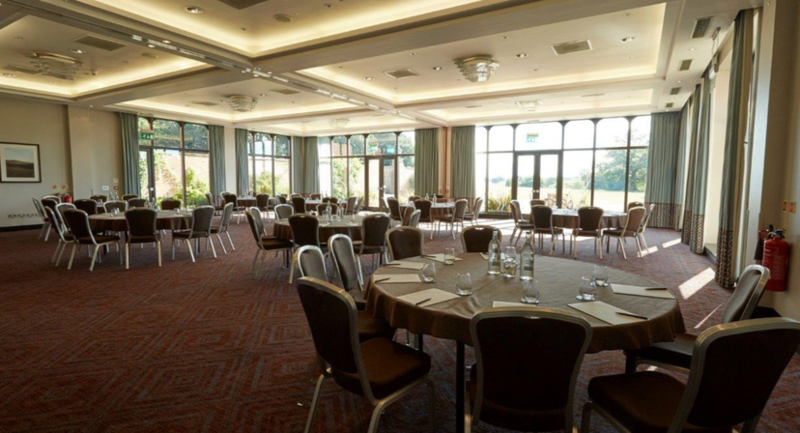 It has a door leading onto a balcony area. 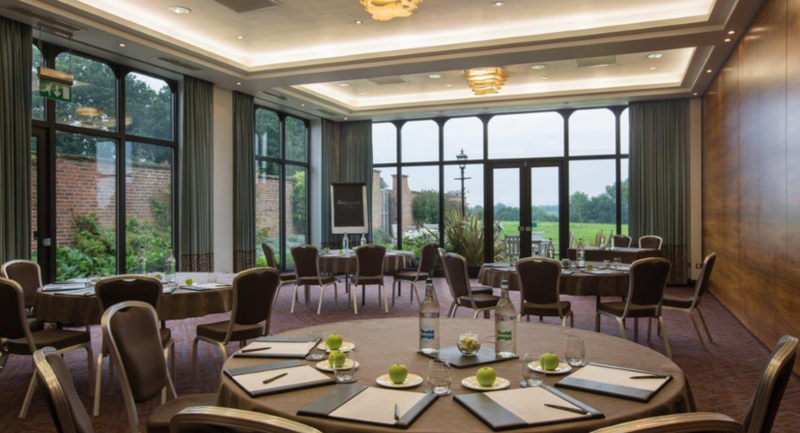 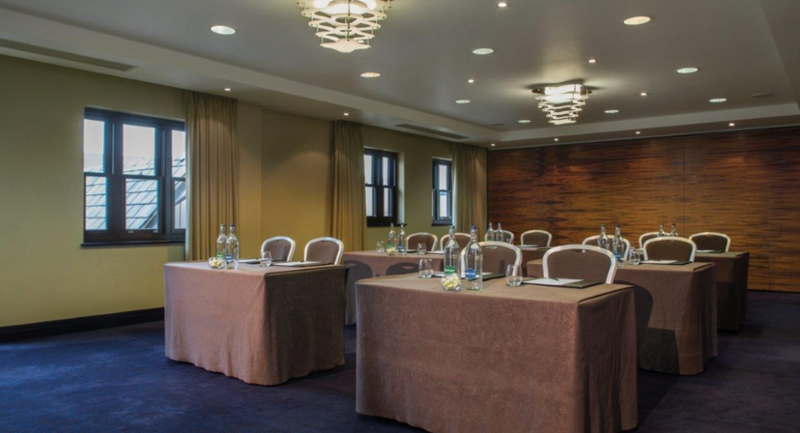 Similar in design to Audlem however this is better suited for up to 10 delegates, with dual aspect windows creating a light and airy room.